The speck comes out of the final turn and races towards the chequered flag, jostling to maintain its position. As it crosses the flag, the hitherto silent throng around me erupts in a chorus of cheers in a replay of just moments past when Valentino Rossi had ridden his Yamaha to victory ahead of Honda’s Marc Marquez and Dani Pedrosa. 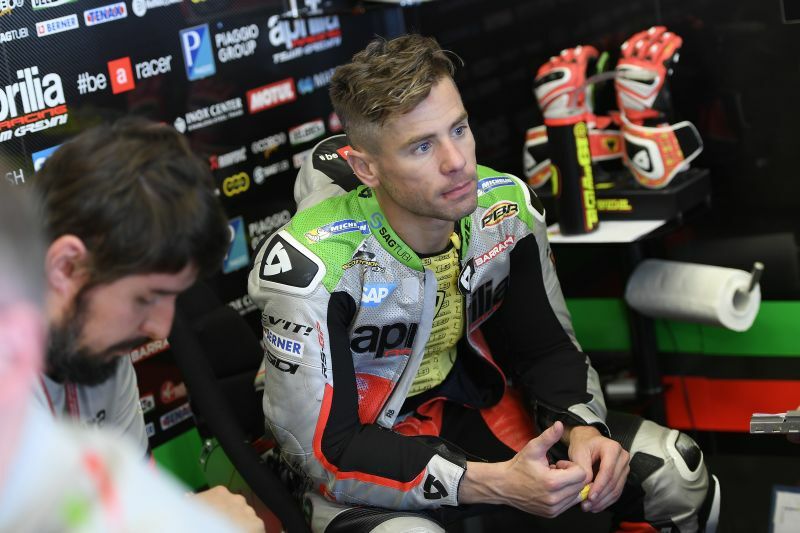 The speck of a rider we were currently cheering was Aprilia Racing Team Gresini’s Alvaro Bautista who had finished in an excellent eighth place. But why on earth were we cheering Bautista when Rossi had won the race? 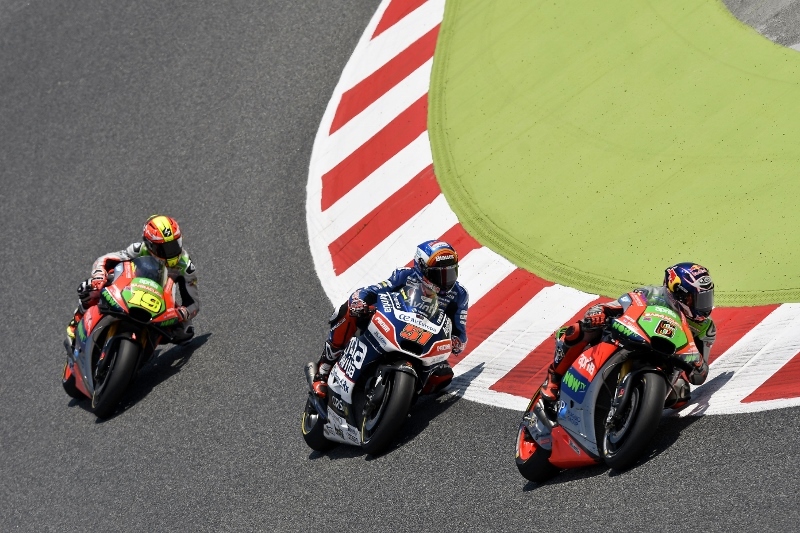 You see, we were at the Circuit de Barcelona in Catalunya to witness the Spanish Grand Prix as one of the guests of Team Aprilia Racing Team Gresini. Far more importantly, this allowed us access to the team’s pit garage and it was from there that we were watching all the action on the track. 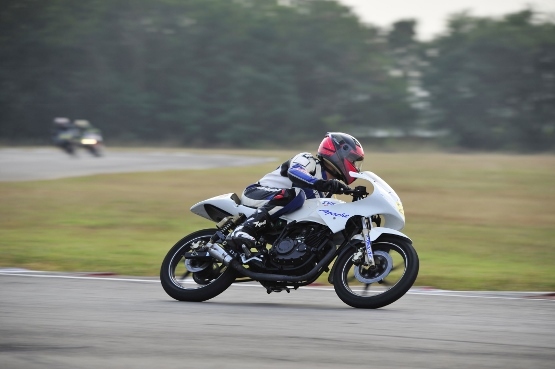 The build-up to the excitement, however, started weeks earlier when I was told by my editor that there was an invite from Piaggio (parent company of Aprilia) and that I would be going. That was when the caterpillars in the tummy were born. Soon enough the humdrum of getting a visa and daily work caught up and the caterpillars turned into dormant cocoons. For an ardent Valentino Rossi fan the race at Mugello, despite its electrifying finish with Yamaha’s Jorge Lorenzo taking the chequered flag ahead of Honda’s Marc Marquez in genuine photo-finish, meant the cocoons remained as dormant in my stomach as they ever were. The first sign of the cocoons turning to butterfly came about in the taxi to the airport. It suddenly struck me that I was headed to my maiden MotoGP viewing experience. By the time I had cleared immigration a sense of disbelief had set in. This had to be a dream and I would soon wake up. But it wasn’t a dream.